Willie Harcourt-Cooze is back, continuing his mission to produce the finest chocolate in the world and to convert the public into eating the best quality confectionery. Having successfully set up his ‘wonky’ chocolate factory in Devon, Willie is about to take on the ‘big boys’ of the chocolate world and compete directly with the producers of the UK’s most popular treats, setting his sights on developing his own chocolate bar. Britons spend more per head on chocolate than any other nation in Europe. However, few of us eat true authentic chocolate. Willie wants to re-educate the public about how chocolate should actually taste and develop a recipe for his own chocolate bar to compete in the market. Willie’s aim is to create a bar that is both delicious and affordable, but which doesn’t contain the excessive quantities of vegetable fat, sugar and additives that characterise most of the existing products that line supermarket shelves. Along the way Willie tries to recreate delicious home-made versions of popular chocolate bars and further investigate the health benefits of chocolate. Will Willie get the funding and new equipment necessary to produce his new bar; can he persuade retailers to stock it; and will the public change their tastes? 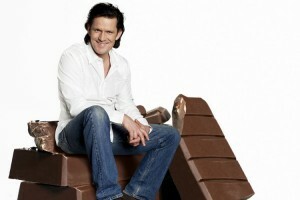 Can one individual, no matter how passionate, really hope to take on the chocolate giants and win? When will this chocolate be available in New Zealand?